A professor of medicine explains how medical students can learn the art of clinical reasoning from the hosts of NPR's Car Talk. 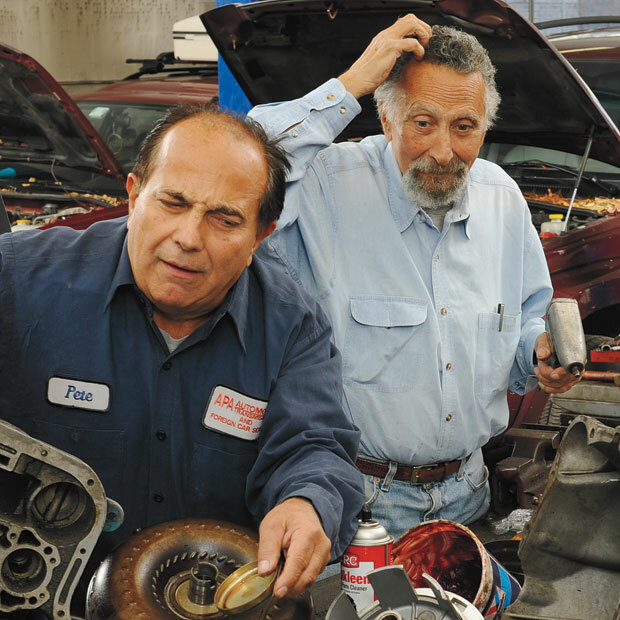 “THE SOUND when I go downhill is kind of like two rocks being ground inside a Cuisinart.” That’s the kind of mystery that phone-in callers throw at brothers Tom and Ray Magliozzi, hosts of NPR’s Car Talk. The questions “Click and Clack” ask in response demonstrate not only mechanical prowess but also, argues one physician, the apotheosis of clinical reasoning. In a Journal of the American Medical Association commentary, Gurpreet Dhaliwal, associate professor of medicine at the University of California, San Francisco, says medical students could learn a lot from the soon-to-retire pair, including ways to shape a patient’s information into a succinct problem (“Sounds like your radio loses power every time you abruptly decelerate on country roads”) and how to ask questions linked to potential diagnoses (when a woman said she receives a shock every time her husband kisses her in the car, Ray asked if the couple had new tires, which can cause static electricity buildup). In an excerpt from physician Danielle Ofri's latest book, a heroin addict makes a group of medical residents rethink their assumptions.